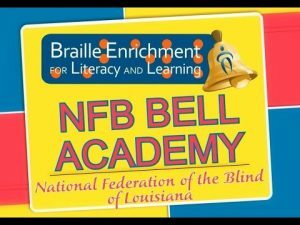 The tactile writing system used by blind people is called Braille. 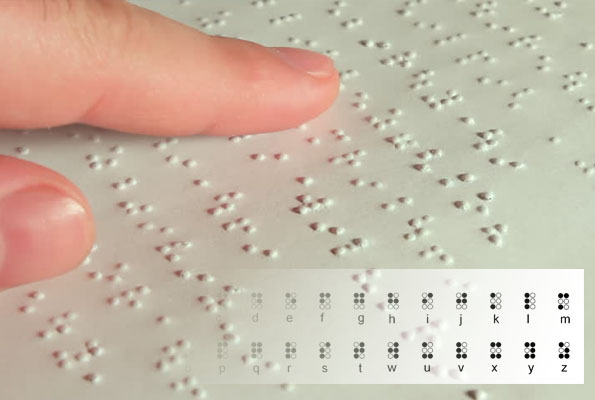 It usually consists of cells of raised six dots and the absence or presence of these dots gives the coding for the symbol, presenting the 64 characters of Braille alphabet. Many international languages have efficiently adopted this system. 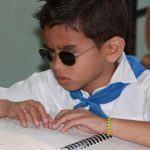 Grade 2 Braille was formulated to lessen the size of books and improve the speed of reading. Certain symbols are utilized to present common combinations of the letters. Some characters may also switch their meaning with regard to their spacing. 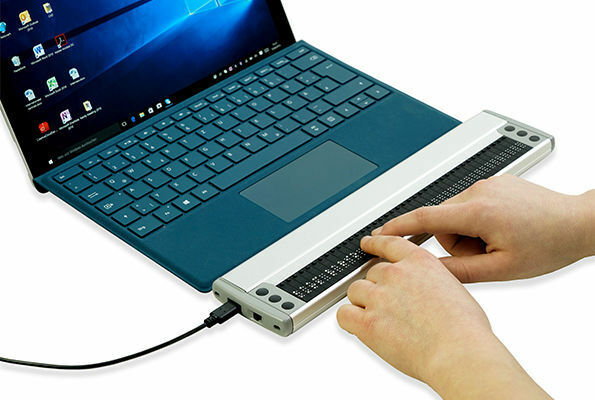 In order to manage additional elements, the Standard Braille System has been expanded to eight dots for laptop or computer systems. 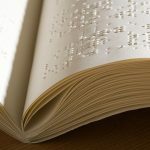 Any text can be converted to Braille using a translator.